In my college football playing days, we were once in an incredible finish to a game. My college team was undefeated the year before, and our opponent was recovering from hard times. Yet we were in double overtime in this contest. They had an amazingly fast, tough and athletic quarterback, who had chewed us up for 181 yards running their Mid-Line option. That requires toughness for sure, but it also requires athleticism and smarts to get the job done. We thought we had him defensed pretty well on this final play. We made him scramble, and he got hit as he released the ball, but that son-of-a-gun from Florida completed the only pass of the night for his team with a 25-yard fade route to the corner of the end zone to break my heart. I played for Murray State on that September day 21 years ago, and our opponent was Western Kentucky University. The quarterback who beat us? Willie Taggart. Ducks fans, my name is John Edge. I’m the head football coach at Owensboro Catholic High School in Owensboro, Kentucky. My staff and I have been fortunate enough to have been in the Kentucky state Finals three times, and one coach I have faced in the Kentucky State Semifinals is none other than my fellow FishDuck.com Coaching Consultant Jeremy McGuire. I’m extremely excited to write for FishDuck.com, especially about your head coach. 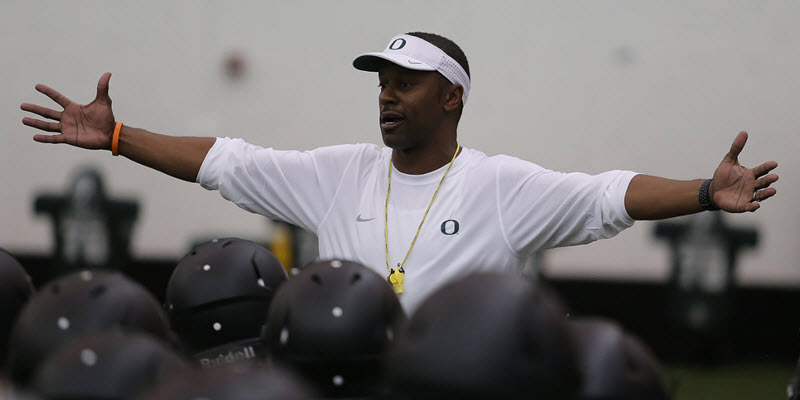 Playing against him in college, and having him recruit players from our powerhouse program over the years, I can say with some authority that there is a Willie Taggart that Oregon fans do not know yet. I will be writing about him over the coming months to share his background. That will help you understand the steps he is taking and why, as it all comes from his early days of playing on the bluegrass of Kentucky. Who is Willie Taggart and what can he bring to the table for Oregon football? That is a question most Oregon fans have right now. Many are asking themselves, “What style of play does he bring? Is he a finesse guy or a physical guy?” In my previous experience as a player on that particular night, Willie Taggart brought both to the table. Taggart is a great recruiter who will bring in tough, hard-nosed players. I first met Coach T when he was an assistant at Western Kentucky. He came on a recruiting visit to Owensboro with Coach David Elson to visit an offensive lineman of mine, who eventually signed at Western Kentucky. 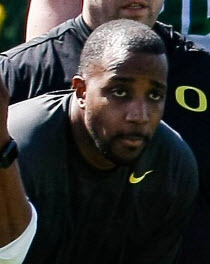 Along with Coach Taggart, I have relationships with a number of Oregon assistant coaches. I used to see Running Back Coach Donte Pimpleton every day when he was the wide receivers coach at Kentucky Wesleyan College, as they share Steele Stadium with my Owensboro Catholic team. Coach Pimpleton also played at Western Kentucky. He was a great athlete and is going to continue being a great coach. He is known for getting his running backs to understand details usually overlooked, which turns them into overachievers. This coaching staff will continue the winning traditions of Rich Brooks, Mike Bellotti, and Chip Kelly. I look forward to giving more information about Coach Taggart and his staff beyond this introduction, as you will appreciate not only the differences of this staff, but why they implement these differences. 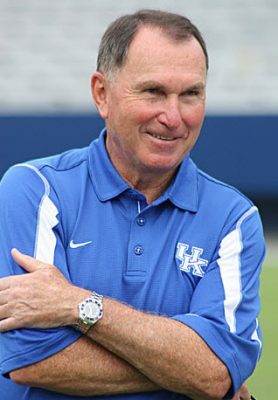 Rich Brooks as a Wildcat. In Kentucky, we know and love Rich Brooks as Oregon fans do. We will go into more of this rich Kentucky and Oregon connection in future articles, as Brooks and Taggart have inexorably linked both states in college football lore. I believe football changes, but I also believe programs change. In recent years Oregon has had tremendous success with a finesse offense and an attacking 3-4 defense. I think in the immediate future we are going to see an Oregon team more like the one we saw in the Brooks era, with great defense and running the ball really well. Does this mean you won’t see any finesse? No, you will, but I think there will be a huge emphasis on that word toughness. Coach Taggart knows two things for sure after being with the Harbaughs: you’d better be able to run the ball, and you’d better play great defense. That’s what Taggart will do at Oregon. They will be better on defense this spring practice. You can count on three things from coach Taggart after this spring practice: 1. Stressing the details to be great. 2. Working hard. 3. Playing physical football. Just as their coach was when he was a player, Oregon will not only be physically tough, but they will have the mindset to be winners as well.